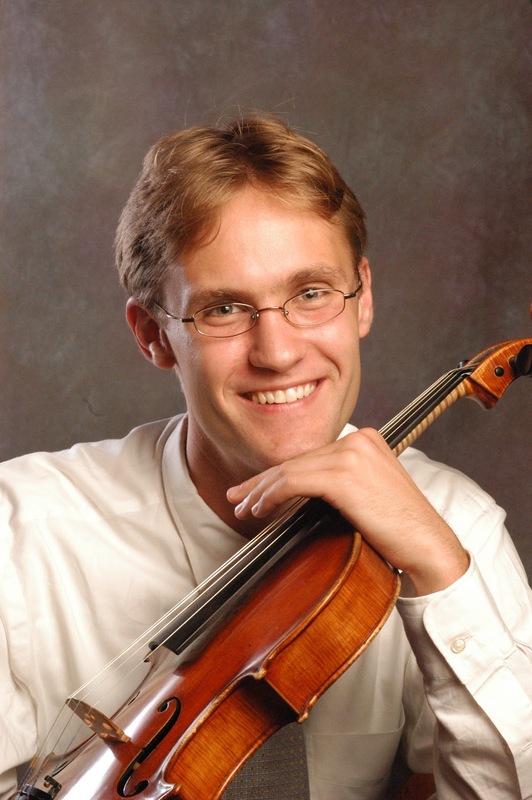 Jonathan Vinocour joined the San Francisco Symphony as Principal Violist in 2009, having previously served as principal violist of the Saint Louis Symphony and guest principal of the Gewandhaus Orchestra of Leipzig. A native of Rochester, New York, Mr. Vinocour graduated from Princeton University in 2001 with a degree in chemistry and was awarded the university’s Sudler Prize in the Arts. He completed his master’s degree in 2003 at the New England Conservatory of Music, where he studied with Kim Kashkashian. Mr. Vinocour received First Prize in the Holland America Music Society Competition, and his first solo album, featuring works of Britten and Shostakovich, was recorded with the support of the Holland America Music Society. He has appeared as soloist with the Saint Louis Symphony Orchestra under maestros Hans Graf and Nicholas McGegan and with the San Francisco Symphony under Michael Tilson Thomas in Berlioz’s Harold in Italy and Morton Feldman’s Rothko Chapel. An avid chamber musician, Mr. Vinocour has been a regular participant at the Marlboro Music Festival and has toured extensively with Musicians from Marlboro in past seasons; he has also participated in numerous other festivals, including the Steans Institute at the Ravinia Festival, Open Chamber Music at Prussia Cove, the Aspen Music Festival, and the Tanglewood Music Center. Mr. Vinocour has been a guest of the Boston Chamber Music Society and International Sejong Soloists and collaborated with artists such as Paula Robison, Gilbert Kalish, Miriam Fried, Yo Yo Ma, Jaime Laredo, and members of the Amadeus, Arditti, Cleveland, Guarneri, Juilliard, Jupiter, Mendelssohn, and Orion string quartets. He is a founding member and regular performer with ECCO (East Coast Chamber Orchestra), a conductor-less chamber ensemble based in New York. Mr. Vinocour plays on a viola made by Lorenzo Storioni in 1784 on kind loan from the San Francisco Symphony. June Choi Oh has performed as a soloist with orchestras including the New Haven Symphony, Aspen Concert Orchestra, Yonkers Philharmonic of New York, Palo Alto Philharmonic, Diablo Symphony and Filarmonica de Jalisco in Mexico. As a recitalist, her appearances include performances at the Dag Hammarskjold Auditorium at the United Nations in New York City, Dame Myra Hess Memorial Concert Series in Chicago, Kieller Schloss in Germany, and Stadsgehoorzall in Holland. She appeared in Aspen Music Festival and Victoria Music Festival (Canada), where she was also a faculty member. She has also performed on radio with WNCN in New York City, WPKT in Connecticut, WFMT in Chicago, KQED in San Francisco, as well as on American PBS television, and abroad on National Television of Denmark. An avid chamber musician, June has performed frequently at Dinkelspiel Auditorium at Stanford University and in the San Francisco Symphony Chamber Series at Davies Symphony Hall. She also performed in Cabrillo College, St. Mary’s College, Holy Names College, Kutstown University (PA), Arrowhead Arts Association, San Jose Chamber Music Series, Berkeley Chamber Series and a multi-island concert tour of Hawaii, through the National Endowments for the Arts Grant. A frequent guest artist for the New York Philharmonic Chamber Ensemble Concert Series, June will return to the series in coming January to perform at Merkin Concert Hall, New York City. She will also appear in solo recitals at U.C. Davis, Napa Valley College, Mendocino College and Mission College this season. She has taught at the Manhattan School of Music and at the San Francisco Conservatory of Music. Currently she is the chair of the Department of Music, Dance and Performing Arts at Dominican University of California. She holds Bachelor’s and Master’s degrees from the Juilliard School. 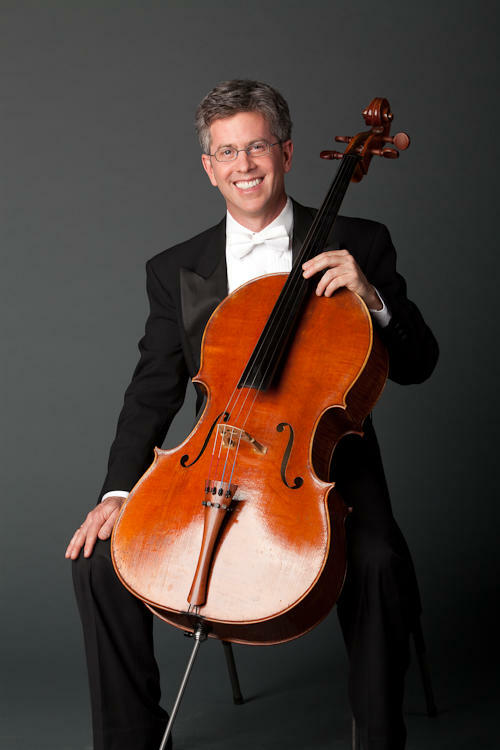 Peter Wyrick is the Associate Principal cellist of the San Francisco Symphony. He has performed as chamber musician and soloist with renowned chamber groups and orchestras throughout the world. Before joining the Tilden Trio, Peter was a member of the acclaimed Ridge String Quartet whose recording of the Dvorak Piano Quintets with Rudolf Firkusny on the RCA label won the French Diapason d’Or and was nominated for the 1993 Grammy Award for best chamber music. He has participated in Finlandís Helsinki Festival, the Spoleto Festival in Charleston, South Carolina, and Spoleto, Italy, as well as the Vancouver, Bard, Chamber Music West, La Jolla, and Santa Fe Chamber Music Festivals. Peter has performed as soloist with the San Francisco Symphony, the Aspen Chamber Symphony, the Hudson Valley Philharmonic, the Queens Philharmonic, the American and the Oklahoma City Chamber Orchestras, and the Kozponti Sinfonicus in Budapest, Hungary. He has recorded the cello sonatas of Gabriel Faure with pianist Earl Wild for D’ell Arte records, and can also be heard in chamber music performances on the Arabesque and Stereophile record labels. Peter held the position of the Principal cello for the Mostly Mozart Festival Orchestra at Lincoln Center in New York City and was also the Associate Principal cellist for the New York City Opera Orchestra. He studied at the Juilliard School in New York City with Leonard Rose. 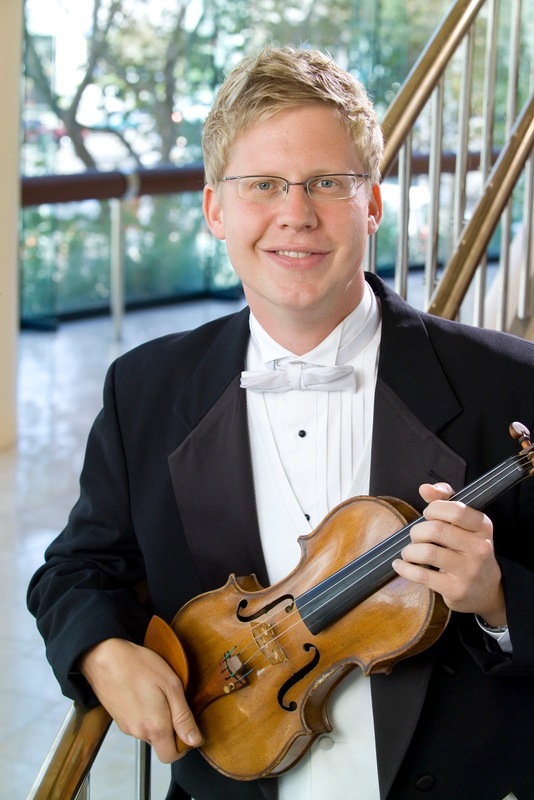 Dan Carlson, who joined the SFS in 2006, is Associate Principal Second Violin and occupant of the Audrey Avis Aasen-Hull Chair. He previously served as rotating concertmaster for the New World Symphony during the 2004-05 season. 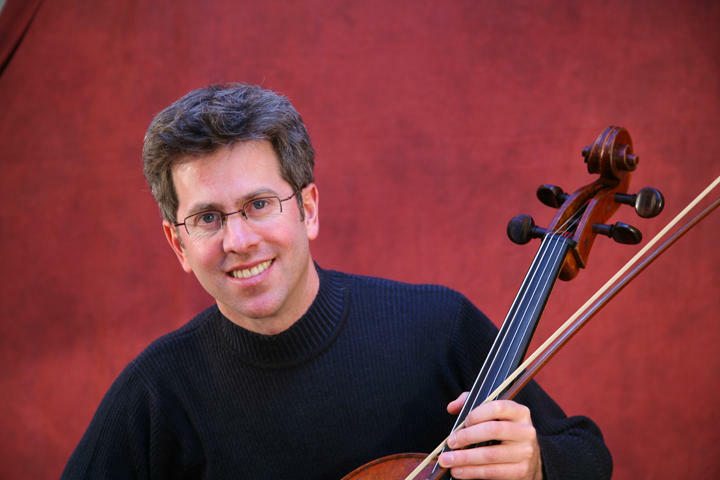 Mr. Carlson has performed and toured with the Orpheus Chamber Orchestra, been a member of the first violin section of the Phoenix Symphony, and participated in the Kneisel Hall, Tanglewood, and Marlboro festivals, as well as the Marlboro Music Tours. On one of the Marlboro concerts at the Metropolitan Museum of Arts, New York Times wrote, “Daniel Carlson, playing the violin in the Mozart E flat Piano Quartet on Wednesday, seemed every bit as ardent and thoughtful as Mitsuko Uchida playing the piano, but in the first there was edge and urgency...” He has also performed with the Chamber Music Society of Lincoln Center and worked on chamber music compositions with Bright Sheng, George Pearl, Hans Werner Henze, and Thomas Adès. Mr. Carlson holds Master’s and bachelor’s degrees from the Juilliard School, where he studied with Joel Smirnoff and Dorothy Delay.